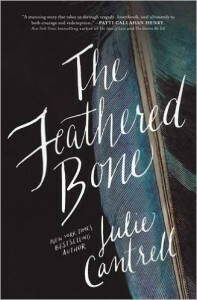 Set amidst the murky parishes of rural Louisiana and told through the eyes of two women who confront the darkest corners of humanity with quiet and unbreakable faith, The Feathered Bone is Julie Cantrell’s master portrait of love in a fallen world. The Feathered Bone is a fictional account on human trafficking and its aftermath. The story centers around Sarah, who was abducted on a school field trip in New Orleans on Amanda’s watch. The premise of the book surrounds Sarah’s sudden disappearance and its effect on everyone, predominantly Amanda and Ellie, who was Sarah’s best friend. Instead of Amanda getting the help and support of her husband Carl, she received the complete opposite. The irony is Amanda was a counselor for victims of domestic violence, yet she herself was one. Carl was unable to see beyond himself and placed the blame on Amanda for anything and everything. He was abusive, and eventually left her for a younger woman, when she and their daughter Ellie needed him the most. This pushed Ellie’s depression further, until yet another tragedy ensued, leaving Amanda shattered and hopeless. The Feathered Bone is a sad, but redemptive story about faith, hope, love and forgiveness. Personally, I had a difficult time reading this book. One, because it was depressing and two, certain parts of it dragged for me. However, I still rated it five stars based on its original content and writing. 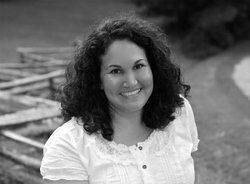 Julie Cantrell is the New York Times and USA Today bestselling author of Into the Free, the 2013 Christy Award winning Book of the Year and recipient of the Mississippi Library Association’s Fiction Award. Cantrell has served as editor-in-chief of the Southern Literary Review and is a recipient of the Mississippi Arts Commission Literary Fellowship. Her second novel, When Mountains Move, won the 2014 Carol Award for Historical Fiction and, like her debut, was selected for several Top Reads lists. Visit her online at juliecantrell.wordpress.com, Facebook: juliecantrellauthor, and Twitter: JulieCantrell. This entry was posted in book reviews, christianity, faith, Healing, prayer and tagged Julie Cantrell, The Feathered Bone, Thomas. Bookmark the permalink. Follow any comments here with the RSS feed for this post. Post a comment or leave a trackback: Trackback URL.